1st NIGHT – Almighty Allah forgives all the sins of a mu’min. 2nd NIGHT – Your sins including your mu’min parents sins are forgiven. 4th NIGHT – You are awarded the sawaab of reading Thaurat, Injeel, Zaboor and the Quraan Majid. 5th NIGHT – You get sawaab equal to that which you would gain if you read your salaat in masjid Haram, Medina Munawara and masjid Aqsa. 6th NIGHT – You gain the sawaab of the Tawaaf made by the 70,000 angels made at Baitul Mamoor on the 7th sky. 7th NIGHT – You receive the sawaab of those good people who helped Musa A.S. when he fought Fir’un and Haman. 8th NIGHT – The rewards for the 8th taraweeh are equal to the sawaab awarded to Ibrahim A.S.
10th NIGHT – Allah proclaims for you all the best in the world. 12th NIGHT – On the day of resurrection you will appear with a face with so much (Nur) lustre on it, as much as the lustre of the 14th moon. 13th NIGHT – On the day of resurrection, you will be protected from evil. 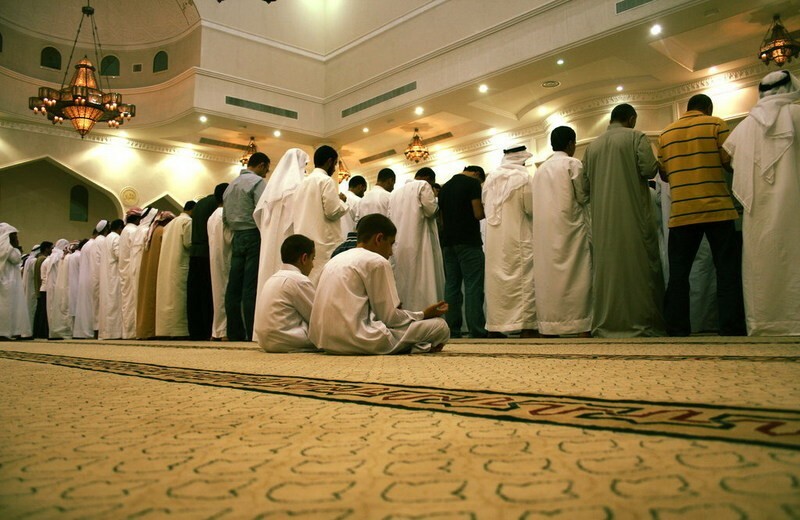 14th NIGHT – On the day of resurrection, the angels will be witnesses for the taraweeh you are performing. On this evidence Allah will grant your entry into Paradise without account. 15th NIGHT – All the Malaikaas, the Hoories and the Arsh-wa-Kursie (Allah’s throne) plead for you before Allah for his mercy. 16th NIGHT – Allah gives instructions: to free you from Hell – to allow you entrance to Paradise. 18th NIGHT – On this night a angel announces that Allah is happy with you, and your parents. 19th NIGHT – The reward for this night is that Allah makes your position greater in Paradise. 20th NIGHT – On this night Allah rewards you by granting to you the sawaab of the martyred and the pious. 21st NIGHT – On this night, Allah builds a house with lustre for you in Paradise. 22nd NIGHT – On the resurrection ground you will arrive duly freed from sorrow and worry. 23rd NIGHT – On this night Allah makes a garden (“shaher”) for you in Paradise. 24th NIGHT – On this night Allah grants twenty-four duas (wishes). 25th NIGHT – Allah lifts his punishment form your grave. 26th NIGHT – Allah increases for you the sawaab of 40 years. 27th NIGHT – The rewards for this night of Taraweeh are that you will be able to cross the Pul-Siraat (bridge) like lightning. 28th NIGHT – Your position in Paradise is increased by one stage. 29th NIGHT – Allah Ta’aala grants the sawaab of 1,000 “makabul” (accepted) Haj. 30th NIGHT – By performing this night of taraweeg you would be one of the many persons who, on the day of resurrection will hear Allah Ta’aala say in Paradise, “Eat whichever fruit you like to eat, bathe with the water of Salsabil and drink the Kauser water! I am thy Lord and you are my person !